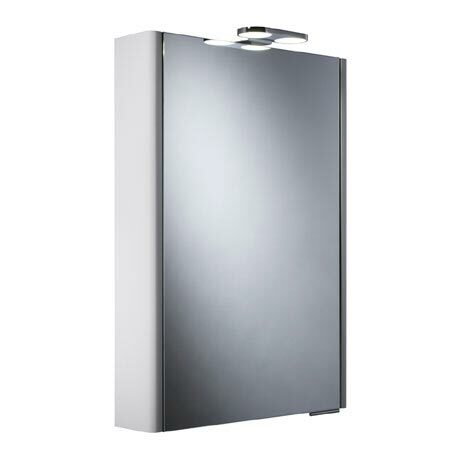 The Phase Mirror Cabinet is beautifully constructed from MDF in a high gloss white painted finish. The cabinet incorporates 2 large LEDs which are controlled by an infrared sensor located in the bottom right hand corner. Other superb features include a charging socket for charging toothbrushes and shavers, Soft-close double sided mirror door and 2 internal glass shelves. Mirror cabinets provide a great alternative to a mirror when you need additional storage space.